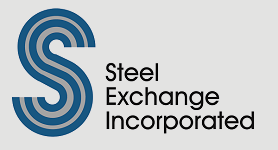 At Steel Exchange Inc. our mission is to lead in innovation as a steel supplier. We want to deliver to our customers the best products and services. We see every customer of every size as a potential long-term partner, and we want to do our best to make that partnership successful. Steel Exchange Inc. understands that customer satisfaction is the key to success. In order for the customer to be satisfied, we must supply them with quality parts and products in a timely manner. Quality is the cornerstone of the Steel Exchange Inc. philosophy. Our Management team is dedicated to seeking continual improvement of its products and services by implementing policies and procedures that manage changes, identify and manage risks, and ensure our customers receive the quality parts which they can come to expect. Excellence through people, superior customer service and low operating costs.